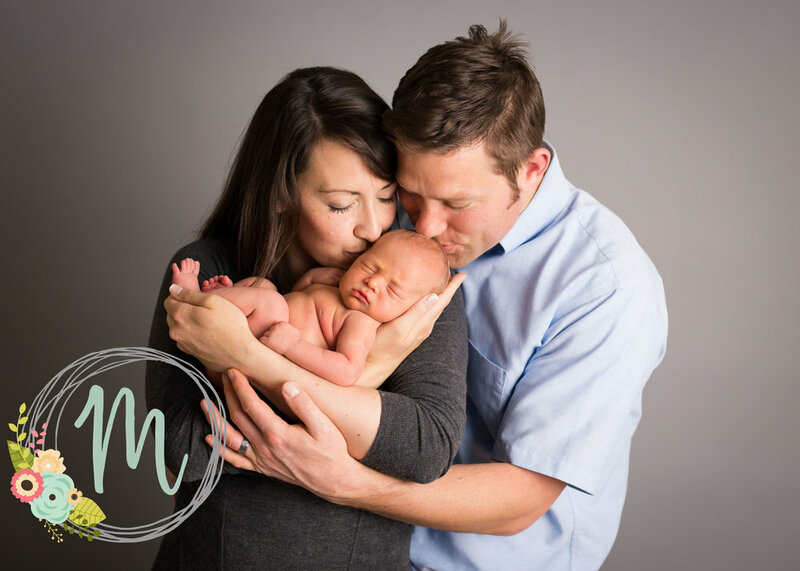 View pricing details for newborn and milestone sessions. This is a two-hour session at my in-home studio in Lehi, Utah. 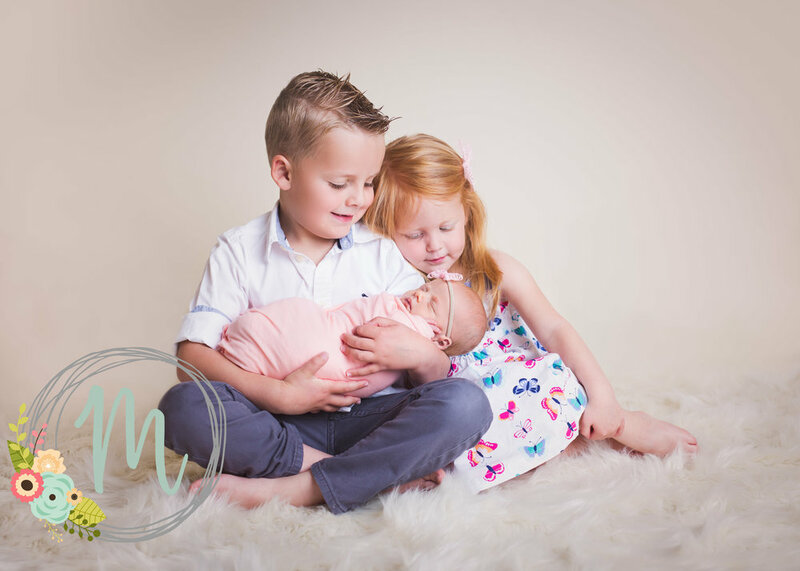 It includes parent and sibling pictures, 2-3 prop setups, and posed shots. During our phone consultation I will find out if there are any specific images you want and I'll be sure to incorporate those into your session plan. 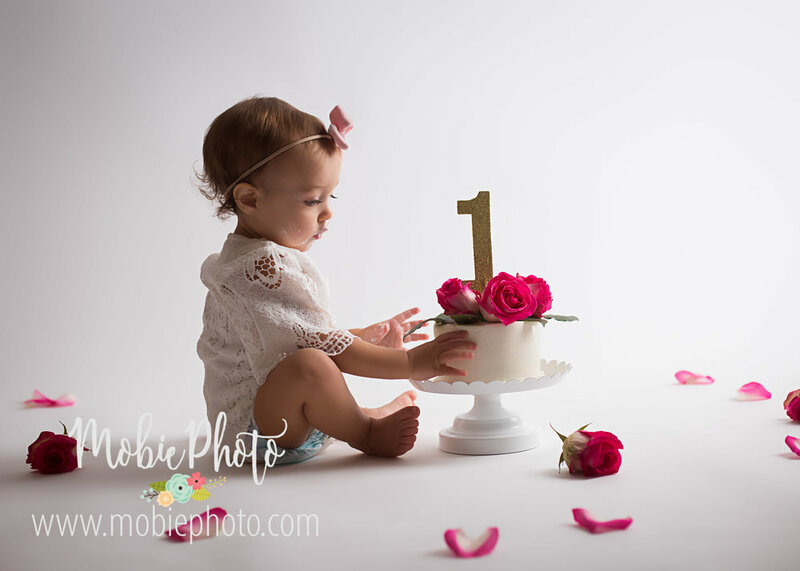 Also included is the use of wraps, hats, headbands, and props, hand editing to remove red spots, skin flakes, and blemishes, digital high-resolution download of your best 20 images via a password-protected online gallery, a print release, and a certificate for $50 off your baby's first birthday or other milestone photo session. 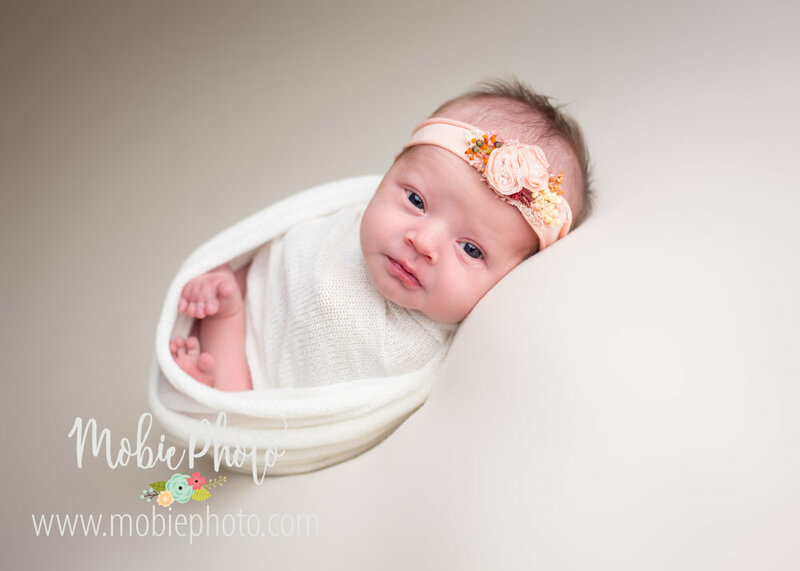 This is a perfect option for when you’re short on time or if you only need a handful of images. Use them to post on social media, create a birth announcement, or have a large canvas made for the nursery. Also included is the use of hats, headbands, hand editing to remove red spots, skin flakes, and blemishes, digital high-resolution download of your 5 favorite images via a password-protected online gallery, and a print release. **Includes images of baby only, swaddled in your color of choice. 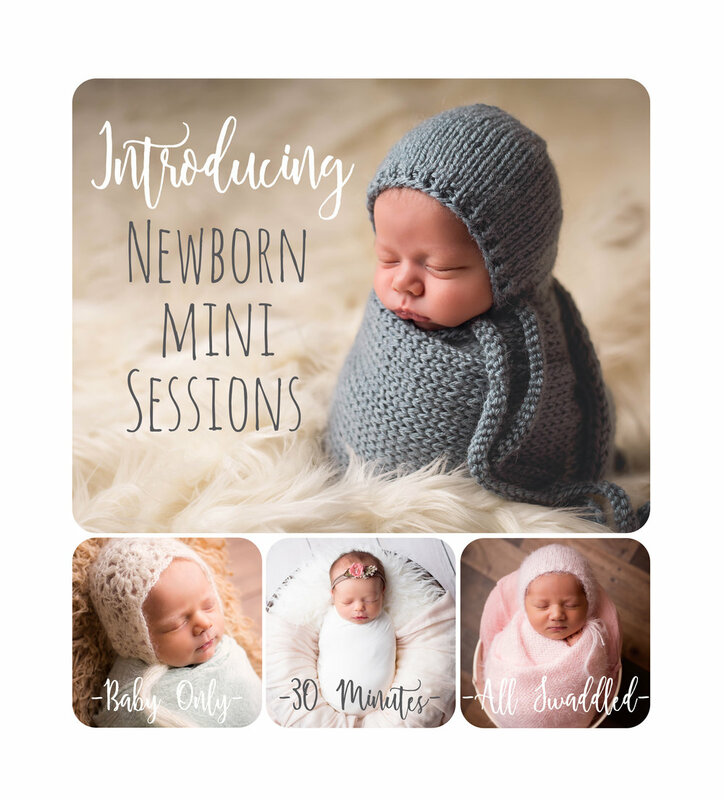 If you would like parent or sibling pictures, or unswaddled poses, please book the full studio newborn session described above. Includes a one-hour studio session, cake clean up, digital high-resolution download of your 20 best images, and a print release. 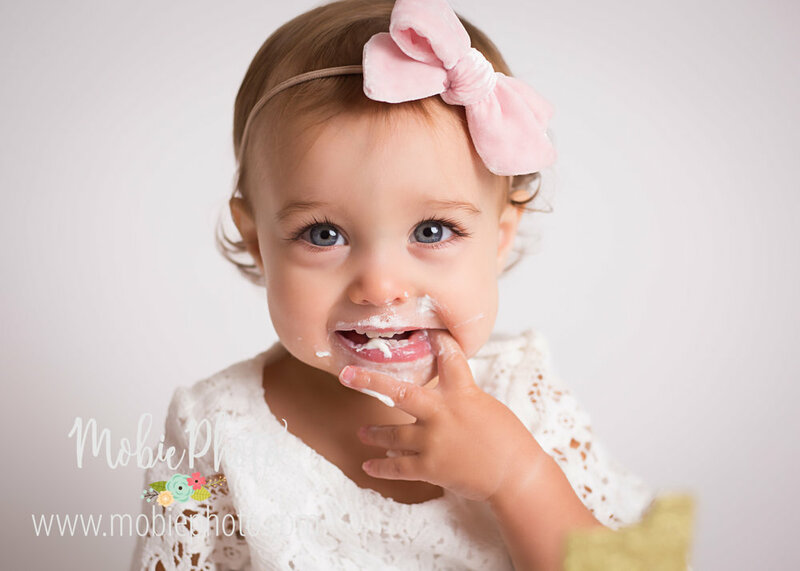 Most parents like to do a few posed birthday pictures before the cake smash, as well as bathtub pictures afterwards, so be sure to bring outfits for each! 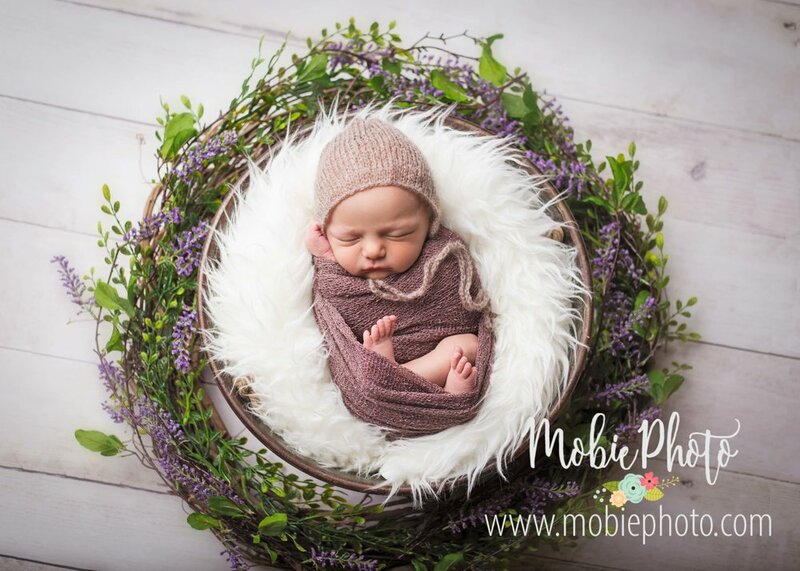 $50 discount offered for returning newborn clients. All sessions require a signed contract and $100 non-refundable reservation fee to be paid in order to secure a date on my calendar. This goes toward the session fee stated above, and is not an extra charge. The remaining balance will be due at the time of your session. If you are having a hard time narrowing your gallery down to the specified number of images (a very common problem! :)), I am happy to edit additional images for $10/each. I reserve the right to change my pricing at any time. The amount you will be charged will be the price that is listed on the day you contact me to book your session, regardless of any increase between then and the day of your session.